Mr. Yongro, Lee (27 years old at the time) was a normal healthy man used to be a body builder. However, one single accident happened in 1991 changed his entire life. With dedicated medical care, the medical team saved his life but could not revive his lower body ending up sitting on the wheelchair for the rest of his life. Another man Mr. Byungwook Kim (25 years old at the time) was hit by careless driver in the road in 1998. As a consequence, his dream playing tennis in a national team simply disappeared. However, the miracle had happened to both of them due to the support of new advanced robotic technology called ‘wearable robot’. Now Mr. Kim is able to climb the stairs or even step the stones. Moreover, he won bronze Cybathlon 2016, the first Cyborg Olympic that competes robotic technologies for people with disabilities and Mr. Lee became the first person to deliver the torch in Pyeongchang Paralympic in 2018. Where we can find them? In fact, wearable robot is already introduced in various fields. Wearable robot is applied not only for people with disabilities (paralysis of the whole body or partially) but also protection for employees from harsh conditions or life support purpose for the elders. For instance, the Korean steel manufacturing company, POSCO has applied wearable robot to manage the refractory in furnace which gave the advantage of increasing productivity by 12.6 billion won (worth as approximately 12.9 million US dollars). (Source: “Current level of Korean wearable technology?” (2016). Donga Ilbo). The technology has brought a great improvement in terms of efficiency, enabling to save 54 days to finish the process consequently saving 12.1 billion won (worth 121 million US dollars) and the less human resources are requited that worth saving 8 hundred million won (worth 100 thousand US dollars). Furthermore, wearable robot is introduced into diverse fields such as supporting fireman or VR (virtual gaming). SEE ALSO: Will Artificial Intelligence Lead to Breakthroughs in the Steel Industry? You can imagine the world famous move ‘Iron man (2008)’. 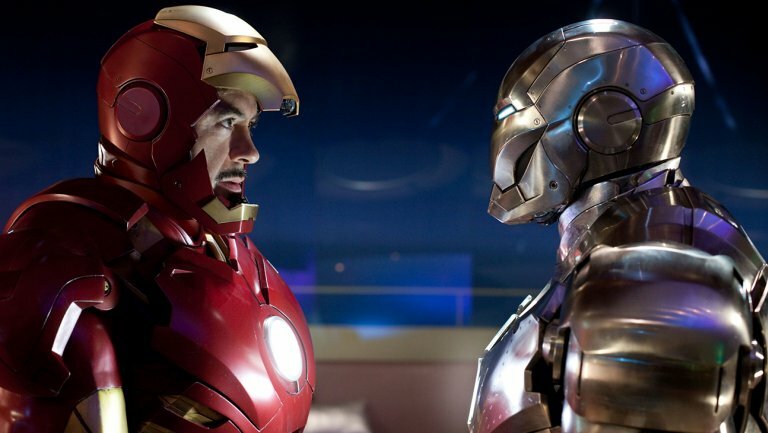 In the movie, when Tony Stark (main character in the movie) simply calls the Iron man suit, it comes to his body automatically. As the series goes on, the technology of the suit also dramatically developed. Recently, news from the movie ‘Avengers: Infinity War’ stimulate the curiosity of new advanced technology of the Iron man suit. What makes that wearable robot get close to our real life rapidly? Significant improvement of wearable robot compartment such as electric motors, battery, processors can be the reason. But most of all, innovative development of material is the key factor. Since the wearable robot is designed to fit in human body, the light weight of the structure is fundamental. Recommended materials for designing wearable robot need to be reinforced plastic or even lighter and have more flexibility. 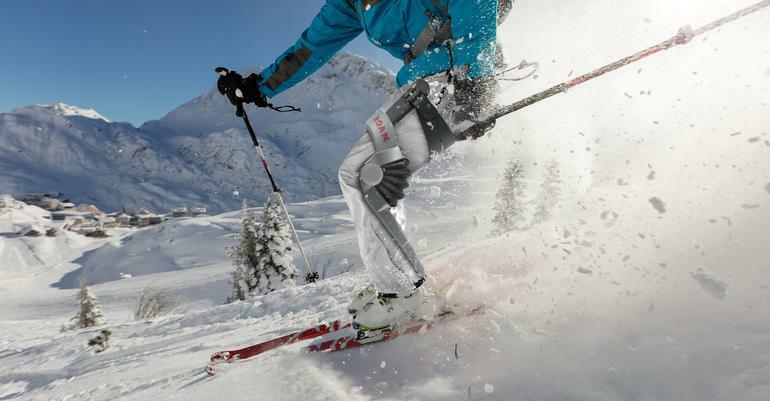 High impact is another factor that wearable robot need to endure. The physical force of walking is the same amount of force that can bend 5mm X 10mm thickness of aluminum stick. Therefore, structure of the wearable robot should have adequate strength to protect the people who wear them. This is the reason why most of the wearable robots are made of alloy materials. Therefore, the fundamental element for the success of wearable robot will be application of light and high impact materials into wearable robot’s structure. One of the good examples is “GIGA Steel” that has been recently invented by POSCO providing significant impression to robotic scientists by showing advanced quality on both hard impact and workability. GIGA steel is also recommendable for custom manufacture. Pack of robots working in the factory is not just all about 4th industrial revolution. Wearable robot may play in a crucial role in improving human quality of life. 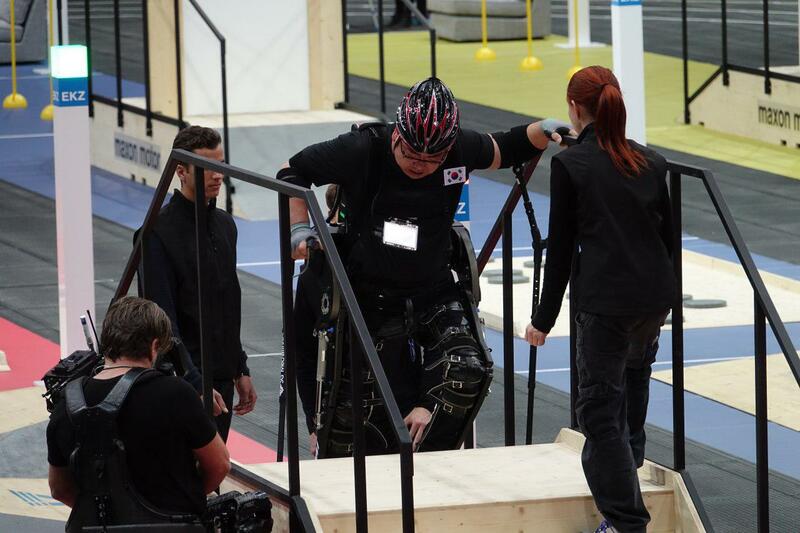 With wearable robot’s help, walking disability might be considered as little discomfort in near future. 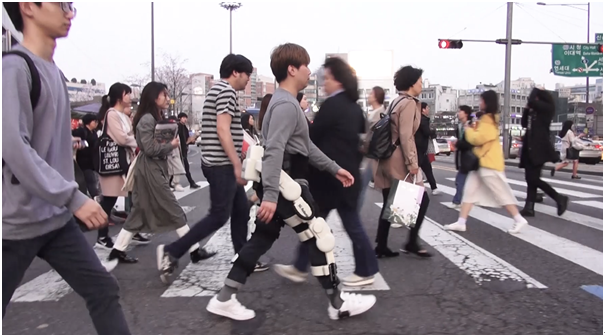 Korea is one of the leading countries in wearable robotic fields and POSCO’s advanced technology may influence huge impact on the wearable robotic fields.